She drives 90 miles to Michigan’s state capital, Lansing, from her home in Troy, when the legislature is in session, clocking 180 miles a day. 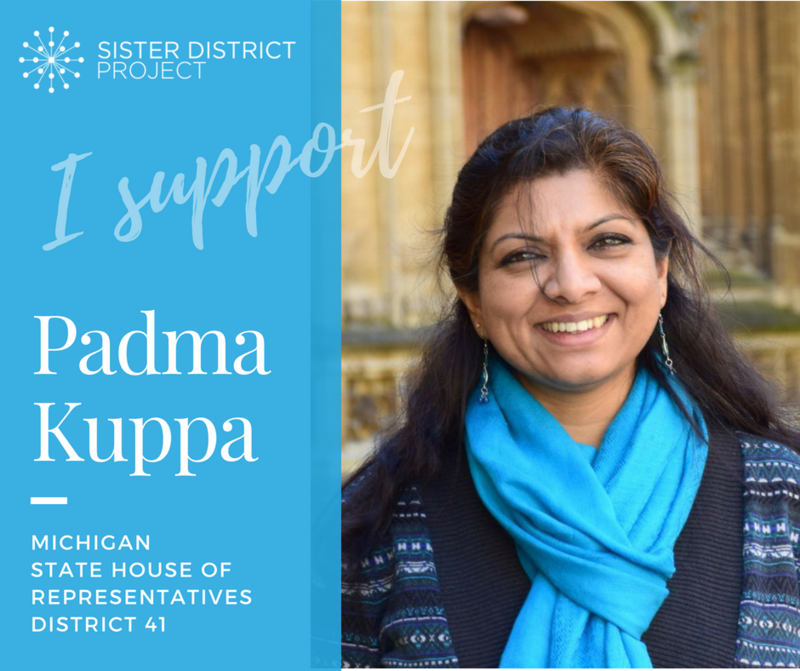 But that doesn’t dampen Michigan State Rep. Padma Kuppa’s enthusiasm for getting to know her constituents and people in the state as a whole. Her solution is staying in an Airbnb for two days a week. 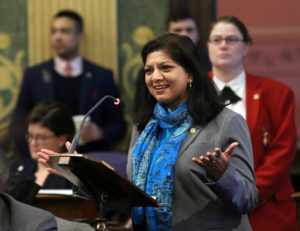 On a quick trip to New York and the tri-state area to begin raising money for her 2020 campaign, Kuppa spoke to Desi Talk about her experiences after being elected as the first Indian-American woman in the Michigan legislature last November, and the need to begin campaigning for re-election. “The day that I won, somebody was planning to take my seat. So I’m already trying to apply for it for next year,” she says explaining the need to start fundraising so soon after getting elected. Kuppa doesn’t shy away from the importance of money to grease the wheels of the campaign. 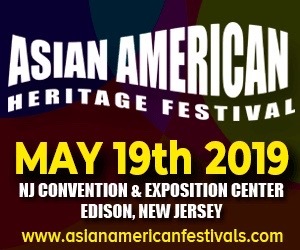 During her trip to New York and New Jersey, Kuppa, who was supported by Indian-American Impact Fund headed by New Jersey investor Deepak Raj, says she is meeting people to keep them engaged not just in the political process as a whole, but in her re-election. “A lot of South Asians don’t see politics as a ‘clean’ thing,” Kuppa said. “Money is needed (to win office). There’s nothing dirty about money – it should just be transparent.” As she sees it, “Smaller dollar amounts go a long way in a race like mine,” says Kuppa, who estimates she will need around $250,000 to $300,000 for her re-election. Kuppa, who has a history of civic leadership in her district, a record on which she ran for office, is talking to friends, acquaintances, and groups in the tri-state area interested in being engaged. “It does not require a degree in political science to get into public office. But it needs a desire to advocate on issues you believe in,” she contends. Her focus in office remains on issues she won her campaign on — protecting public education; good infrastructure including good roads and clean water; protecting the environment and growing the economy. “These are my constituents’ concerns,” says Kuppa who represents District 41 which includes the bigger cities of Clawson and Troy. There are a significant number of Indian-Americans and South Asians in Troy, but not all are voters, she notes. 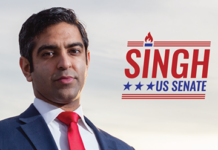 “But I met a number of South Asians who came up to me and said when they saw my name on the ballot, they decided to register to vote,” Kuppa said. She speaks passionately about the two bills and a resolution she has introduced so far – a bill to protect vulnerable adults which fell by the wayside when her predecessor was voted out of office. It is meant to plug the loophole in existing legislation, to protect those forced to put sexual content online under threats. The bill would penalize the person with misdemeanor. 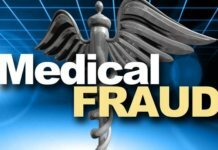 “This is an underreported crime and it is a bipartisan issue,” Kuppa says. She has also introduced a bill to declare Jan. 30 as Fred Koramatsu Day, to recognize the civil rights struggle waged by him against the internment of Japanese during the Second World War. And Kuppa has introduced House Res. 52, to declare March 22 as World Water Day in a state where the scandalous water pollution crisis raised its head in Flint, Michigan. One of her most rewarding experiences was when she was visiting the Pierce School District and was met by the school administrators and students. They gave her a book to read out to the students. “It was really an honor, but also sad that nobody before me for the last 15 years had gone to do this. These may be children, but they are my constituents,” she said. 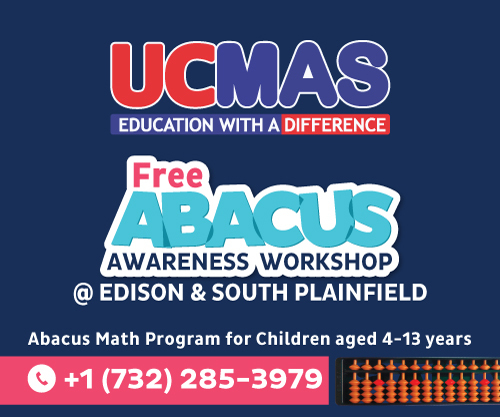 Kuppa came to the U.S. from India at the age of four and grew up in this country before moving to India as a teenager. She got her Bachelor’s degree in mechanical engineering from the National Institute of Technology Warangal, after which she moved home to the U.S. for graduate school. She has been a resident of the 41st District for more than 20 years, worked as an engineer and project manager with a career that spans the automotive, financial, and IT industries. 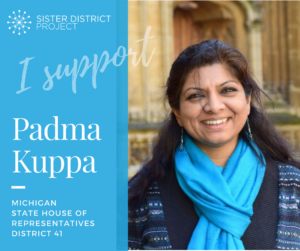 Even as a private citizen, Kuppa was steeped in her community’s issues, volunteering with the PTA throughout her children’s K-12 education, founding the Troy-area Interfaith Group with the aim of bringing people together, and serving on Troy’s Planning Commission. She is currently President of the Troy Historic Society and a board member of the Michigan Roundtable for Diversity and Inclusion. 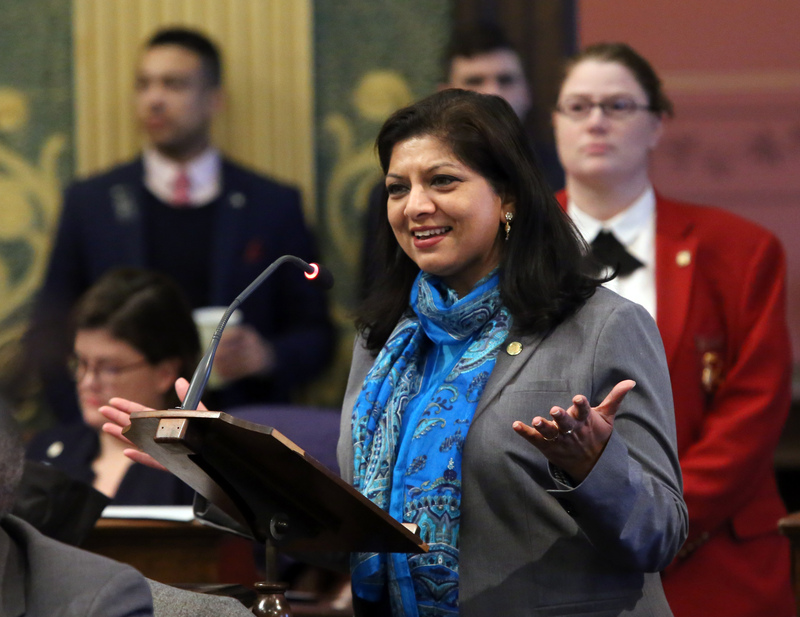 As the first Indian immigrant and Hindu in the State Legislature, she hopes to bring a fresh perspective to the State House and to get re-elected to a job she appears to be a natural in. On March 31, she sent out a mailer declaring, “It’s a different kind of March Madness: the race for 2020 has already begun!” She had just had a fundraiser in Clawson, at the Montage Grill, where she first began her run for office. 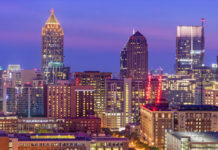 “While it may seem that November 2018 was just a few weeks ago, we are not taking the 2020 challenge lightly. We must keep the momentum going – we need to hold 41 and Democrats must get four more seats to win the majority in the next election,” Kuppa asserts.